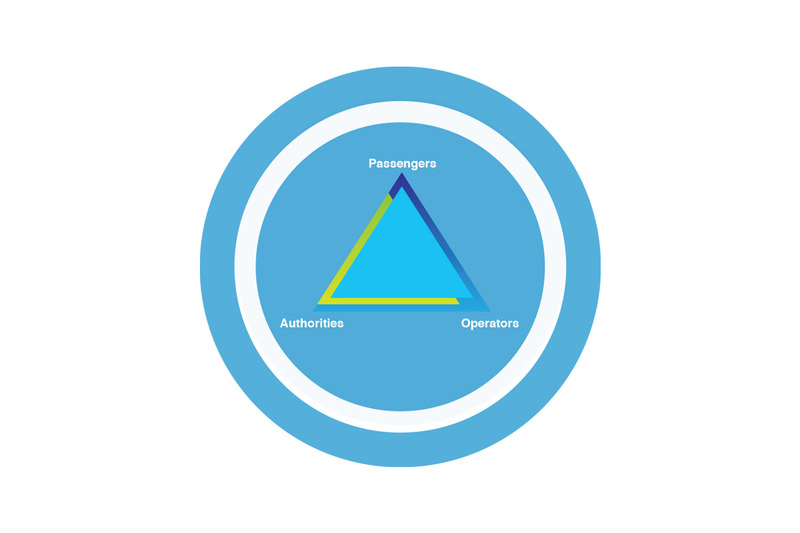 The main stakeholders in the Public Transport industry are represented by the triangle formed by passengers (demand side), Authorities and Operators (supply side). But what are the existing needs of these important players? What are the main changes that the influence of the global and local market and societal trends are expected to bring to the industry? Who will influence the stakeholders’ decision on what kind of innovation they should introduce in Public Transport? The first step when you decide to promote innovation in Public Transport in your area is to explore and understand the main market and societal trends that are at play, and then investigate the needs of the parties involved. Market and societal trends play an important role in how different consumer groups define or adjust their behaviour. Hence, having an overview of these trends is paramount in the innovation process. With this in mind, the next section will focus on those global market and societal trends identified in the CIPTEC project that are expected to have a significant influence on Public Transport over the forthcoming years. The classification of passengers into groups, as well as the identification of their needs per customer group is one of the crucial parameters for mapping the current Public Transport situation. Particular attention should be paid to taking into account the special needs of vulnerable groups, including not only people with mobility and sensory restrictions, but also people affected by social, financial or gender issues. Addressing these needs may have considerable implications in the Public Transport industry. People with limited or no access to certain technological innovations should also be considered as vulnerable groups, as the potential access level to innovation is a determining factor when introducing new solutions and concepts. Other than the users’ classification and the understanding of their crucial needs, it is also key to perform a mapping of the main Public Transport stakeholders (e.g. Operators, Authorities, terminal managers, trips’ generators, etc.) at local level and an analysis of their requirements. Such an analysis could take into account various parameters, for instance: transport modes’ fleets, ownership status (public or privately owned), division of responsibilities, etc. This represents a valuable method to identify the gaps between supply and demand and facilitate the generation of solutions to bridge customers’ and authorities’/operators’ needs. After recognising which trends are expected to influence Public Transport in your area, and prioritising the crucial needs of both the users and the Public Transport stakeholders, you are ready to set your organisation’s objectives and continue with the identification of the most suitable innovative concepts/solutions to meet your targets!